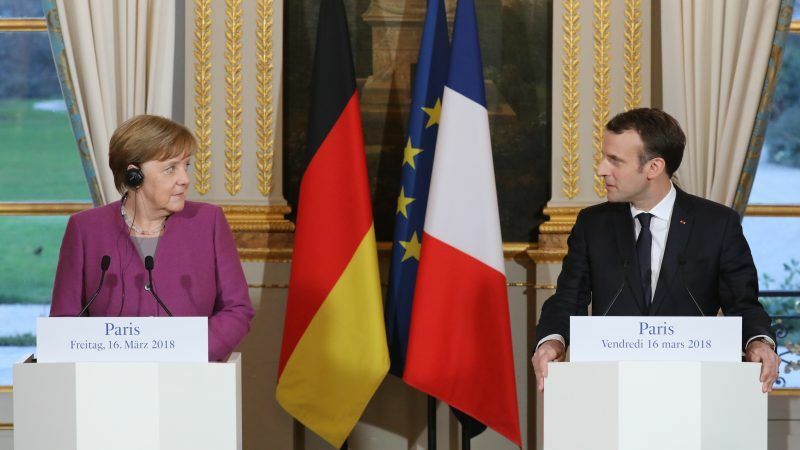 In the run-up to a European Council on the revival of the European project, the increasingly direct political rivalry between En Marche and the CDU make the exchange between France and Germany difficult. EURACTIV.fr reports. “There is nothing unusual about Juncker thanking his chief of staff.” In early March the Selmayr issue was not significant for this high-ranking source in the French government, who added that “the French don’t care about the appointment of Selmayr, it is really just an obsession in Brussels political circles”. But in the wake of the MEPs’ outburst, swiftly joined by the majority of French elected officials severely criticising the appointment, the tone has changed. 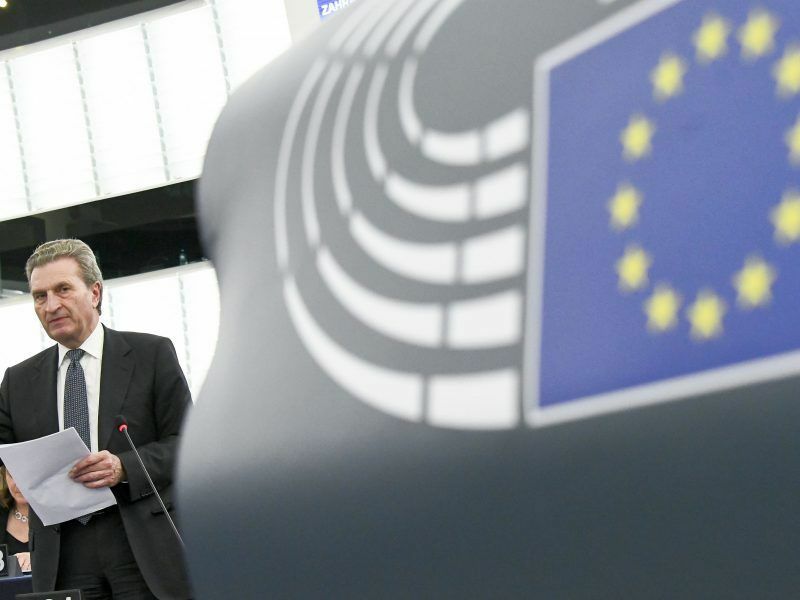 During question time in the French National Assembly on 14 March, the Minister of Europe and Foreign Affairs, Jean-Yves Le Drian, stressed that the European Commission should be exemplary and transparent in its recruitment. The French and German right-wing parties, the Greens, the Socialists, the far-right and the far-left in the European Parliament all lined up to criticise this coup de force, this coup d’état and the insult to Europe represented by this cavalier appointment. The European Parliament’s budgetary control committee will look into last month’s “fast-track promotion” of Commission chief Jean-Claude Juncker’s top aide, after MEPs called the appointment a “perfect stitchup” and a “grave error” that only fuels Euroscepticism. While the Elysée embarked on a complicated game on the future of the European institutions, the sudden arrival of someone close to the CDU as Secretary General of the European Commission was initially for Paris, just the first of many stages. Despite the impression of being in agreement, highlighted by Angela Merkel’s visit to Paris on 16 March, the En Marche movement is at loggerheads with the German right, which accuses En Marche of harbouring multiple ambitious projects for Europe. This is something that Pieyre-Alexandre Anglade, a French En Marche MP in charge of alliances with other European political groups, does not deny. “According to our analysis, at the heart of the right there is a monolithic bloc that’s doesn’t want to move or change anything: they will probably end up moving closer to the conservative and reformist party (ECR), that will have to deal with the exit of British conservatives. But there is also a sizeable fringe that wants to change Europe: the Italian elections were a warning. The EU has abandoned Italy in the face of the migrant crisis: it is the failure of EPP-governed Europe”, said Anglade. On the French side, the political setback on the subject of transnational lists has left a bitter taste for President Macron. On 7 February, the European Parliament rejected the idea of a transnational list for the 46 seats of the European Assembly. In total, 368 MEPs voted against and 274 for. This was largely caused by the overwhelming rejection from the leading party in Parliament, the EPP. Only 26 EPP MEPs voted for transnational lists, three of whom were French: Tokia Säifi, Jérôme Lavrilleux and Arnaud Danjean. The political muscle exerted by Germany in rejecting the project particularly irritated the French side. This sentiment brought forward the opening of the struggle for European elections, prompting multiple contacts within the EPP. This, in turn, caused the president of the EPP, French MEP Joseph Daul, to issue a direct warning to the French president: hands off the EPP! Seen from the German Chancellor’s office there is also real concern over the future of the right, Merkel’s “sole preserve” for many years. The Chancellor has tried to mollify President Macron by advocating a French president for the head of the next Commission, provided that it is Christine Lagarde, the managing director of the International Monetary Fund. “Germany wants to choose the next French president of the right for the European Commission,” stated a well-informed source in Brussels. France does not currently consider Lagarde an option, even if the idea of a French president does not displease Paris. Even if it means having to support a German CDU secretary general of the Commission, when the secretary general of Parliament, Klaus Welle, is also German and CDU. Moreover, he previously held the position of general secretary of the EPP. Klaus Welle is also the former colleague of the former European Parliament president Hans-Gert Pöttering, who had appointed him before leaving in March 2009, as pointed out this week by the EP’s trade unions. Among the party leaders in the European Parliament many are German, starting with the EPP, led by Manfred Weber, but also the social democrats who will probably name Udo Bullman as the head of the party by the end of March, the Greens, co-chaired by Ska Keller, and the radical left headed by Gabi Zimmer. “It would be logical to try to restore a political balance. It is not because Germany has the largest delegation of elected representatives that they have to govern Europe,” said an MEP who deplores the increasingly difficult communication with Germany on different issues, particularly economic ones, where the rivalry between Paris and Frankfurt over Brexit has hardened positions. The fact that France has won the transfer of the European Banking Authority from London to Paris has only fuelled animosity between the two countries. With Paris’ plans to house the authority in the same premises as ESMA, the European securities and markets authority, Germany is worried about France becoming a regulatory centre. This would harm Frankfurt’s position as the financial hub. These concerns are reflected by a certain lack of enthusiasm on the part of Germany over the ongoing negotiations in the European Parliament about the banking authority’s regulations following its transfer. The draft under discussion calls for a separation of the three regulatory authorities (ESMA, EBA for banking and EIOPA for the insurance industry) and voices regret over the fact that Parliament was not consulted on the transfer of the authority, which is a preserve of the European Council. 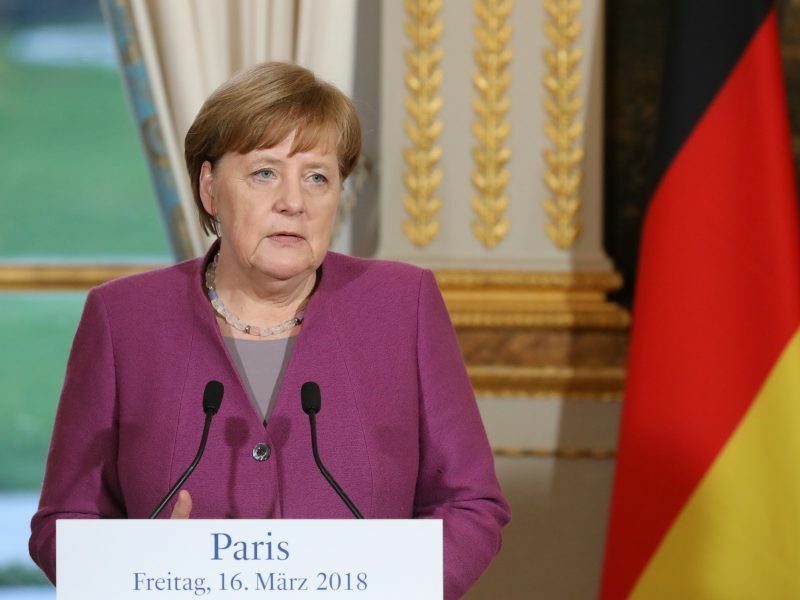 Lively discussions between the two countries are admittedly far from unusual, but the long-promised reform of the eurozone, to which Merkel and Macron committed themselves again in mid-March, could suffer as a result of this situation.